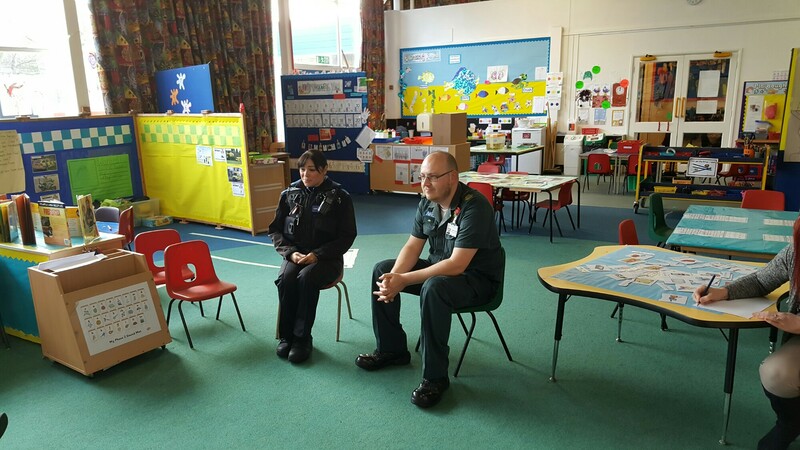 On Thursday 30th March, Starfish class had visits from a Policewoman, a Paramedic and a team of Firefighters. In the morning, we found out about Police Officers and Paramedics. We looked at their uniform and their vehicles. We were all lucky enough to sit in the vehicles. 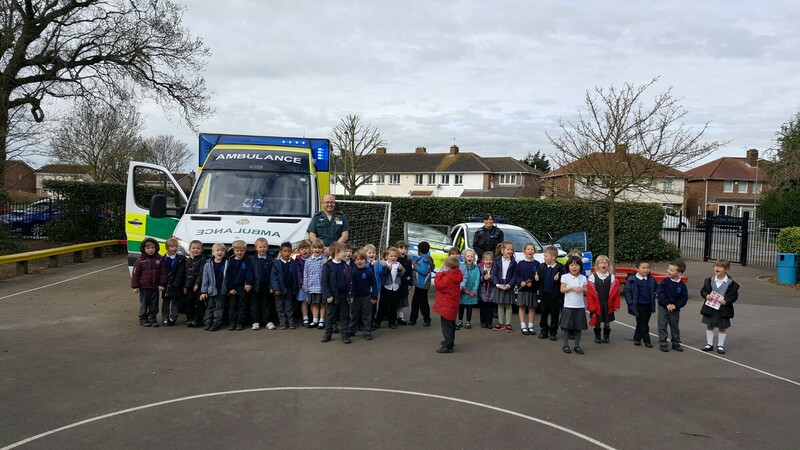 The children loved getting into the ambulance via the electronic ramp. Author vmessemPosted on March 31, 2017 April 1, 2017 Categories Whole School, Year RTags Community, FindingOut, Fun, Future, Learning, VisitsLeave a comment on Emergency Services Day! The children were very excited when six Firefighters visited Holbrook. They brought their uniform and equipment to show us as well as a fire engine. Just as we were learning about their uniform they got an emergency call on their walkie talkie. 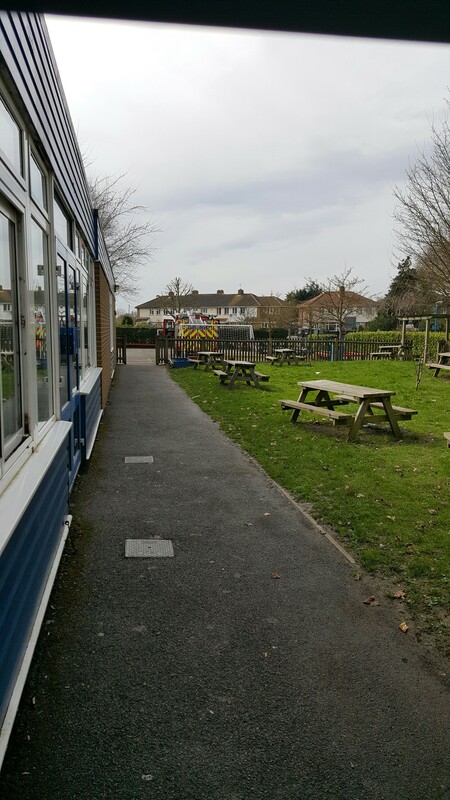 The Firefighters had to run from our class room to their fire engine, which was on the KS2 playground. Luckily we were quick enough to see the fire engine leave with its lights flashing and sirens on. 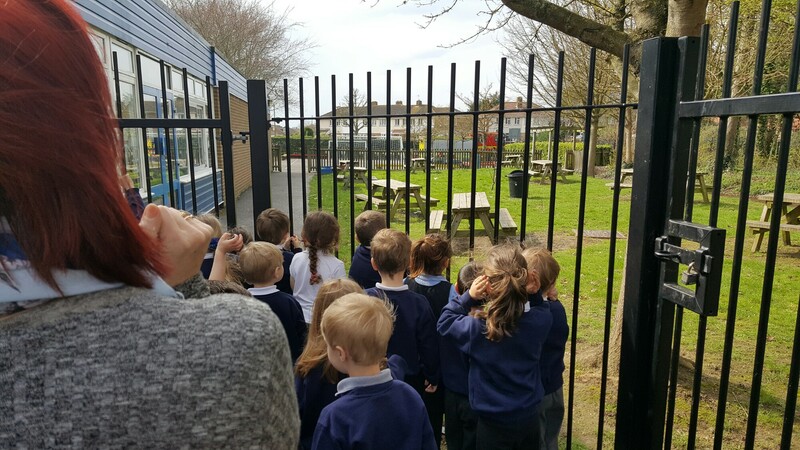 The children all wondered what the emergencey could be. They had lots of good ideas as we have learnt that Firefighters do not just put out fires in houses. Hopefully they will come to visit us again soon. Biscuit Sale for Down Syndrome! In addition, staff and children also came to school with odd socks today, in a whole range of bright and vibrant colours too! Thank you to everyone who helped to donate to the cause, you all deserve a huge pat on the back! 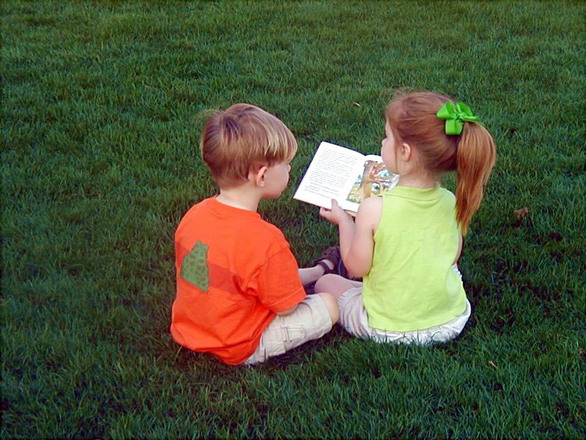 Author Mr ThornsPosted on March 21, 2017 April 4, 2017 Categories L.R.P, Whole School, Year 1, Year 2, Year 3, Year 4, Year 5, Year 6, Year RLeave a comment on Biscuit Sale for Down Syndrome! Year 3 Mad Hatter’s Tea Party! Author kgates17Posted on March 13, 2017 March 13, 2017 Categories Whole School, Year 3Tags bestclass, bookweek, Celebration, Fun, Learning, Reading, Teamwork1 Comment on Year 3 Mad Hatter’s Tea Party! Staff at the Range welcomed year 3 with open arms to help us with our maths and science work about plants. P enguins spent the morning exploring the outdoor plant selection and had the chance to chat to Luke the garden centre supervisor. Author digitalleader2017Posted on March 12, 2017 March 12, 2017 Categories Whole School, Year 3Tags Collaboration, Exploring, FindingOut, Growing, Investigation, Learning, TripsLeave a comment on Money Doesn’t Grow on Trees! What a fantastic week we had! We were so impressed with the incredible hats that came in to school for the competition, thank you so much for taking the time to design and create a hat with your child, they were very proud of them. Children have been enjoying reading, ‘The Cat in The Hat’ and wrote some wonderful poems that they shared across the school after being inspired by Dr Seuss.